Fertilizing your lawn in early fall is one of the most important actions you can take for ensuring a healthy, beautiful lawn. Fertilizing your lawn may look like a do-it-yourself project, but done improperly, can lead to many lawn problems down the line. A quality fertilizer with the right blend of nutrients for your lawn needs to be chosen. We are a professional lawn service company that will choose the right fertilizer for your lawn and apply it at the right time to avoid burning your lawn, which is the most common side effect of mis-applying fertilizers for the do-it-yourself home owners. 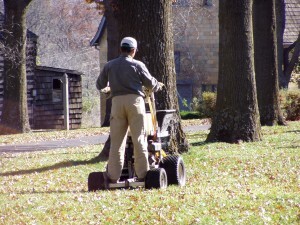 Call us and we will be sure to apply the necessary fertilizer to your lawn. And you’ll save time that you otherwise would have spent in some Lawn Care or Hardware store. 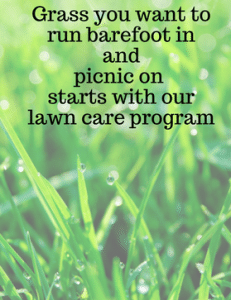 To ensure that your lawn is treated and maintained to produce a healthy, green lawn for the spring, call the Lawn Care experts at Turf Solutions. We know what your lawn needs and when it needs it.